A magnitude 7.0 earthquake has hit along the coast of Indonesia’s Lombok island killing at least 82 people, authorities said. A tsunami warning was also issued, but called off a few hours later. The death toll has increased to at least 82 from initial reports of 32, according to Indonesia's National Disaster Mitigation Agency. Thousands of people have been evacuated, and hundreds are believed to be injured. Footage appearing to show the impact of aftershocks have already appeared online. 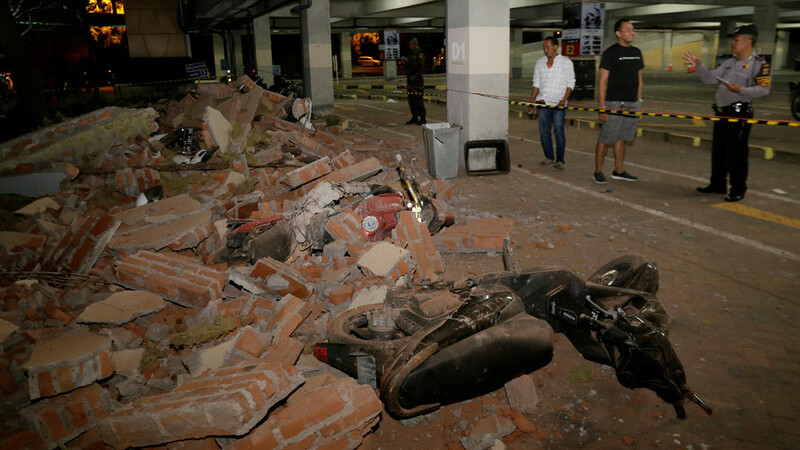 The quake was felt on the neighboring Bali island, according to reports on social media. Lombok has a population of just more than 3 million people. The island is also a popular backpacker destination.